There’s always been a discussion about the risks and possible benefits that wine has on our health. But what is actually true and what is just a myth? In reality, drinking wine does have a lot of benefits for your health, but only in moderate amounts (about one or two glasses a day). The most important benefits that wine has on our health are: preventing heart diseases, reduced risk of diabetes, increased longevity and others as well. What is actually really important and good to know is that those benefits are primarily for men aged over 40 and post-menopausal women. 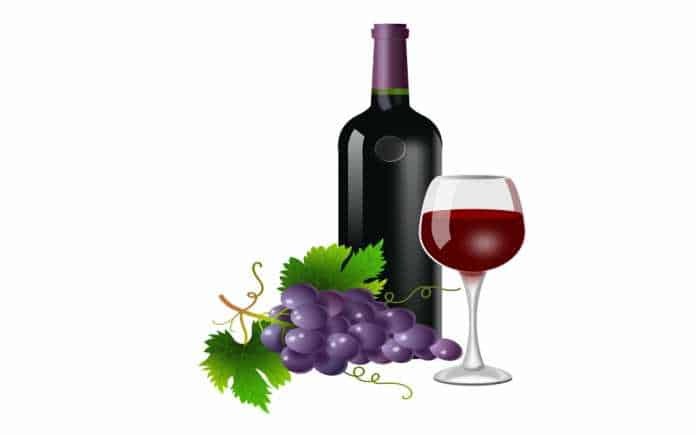 There is not really a lot of evidence regarding that drinking wine could affect the health of younger people as well (positively or negatively), probably because the younger ones are already less at risk of heart diseases do begin with. 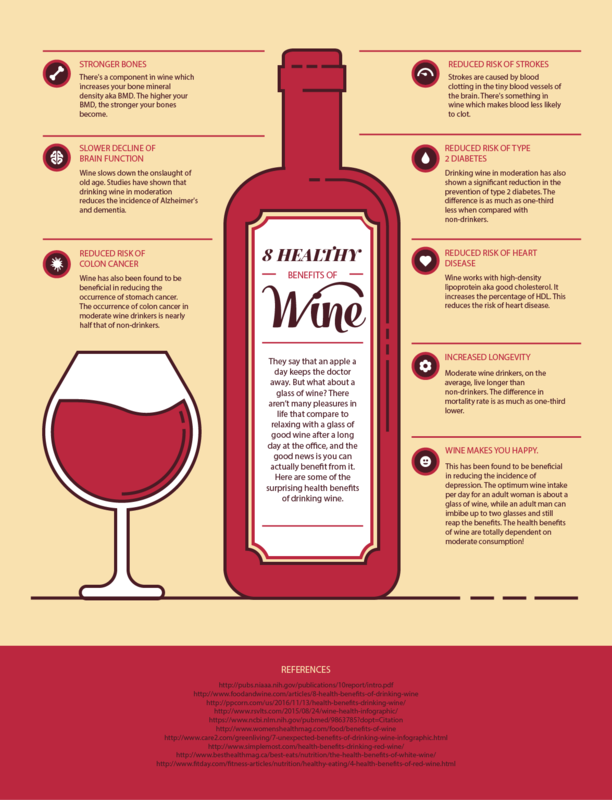 Vera over at Kitchen Gadgets Wars has put together this infographic giving us EIGHT healthy benefits of drinking wine, like we needed it right?